Samsung Galaxy A9 Pro With 6 Inch Screen And 5000 mAh Battery Now In The Philippines, Priced At 25990 Pesos! Home / mobile / news / samsung / Samsung Galaxy A9 Pro With 6 Inch Screen And 5000 mAh Battery Now In The Philippines, Priced At 25990 Pesos! Just in! Samsung has officially launched the Galaxy A9 Pro, a HUGE phablet with their largest battery capacity yet. 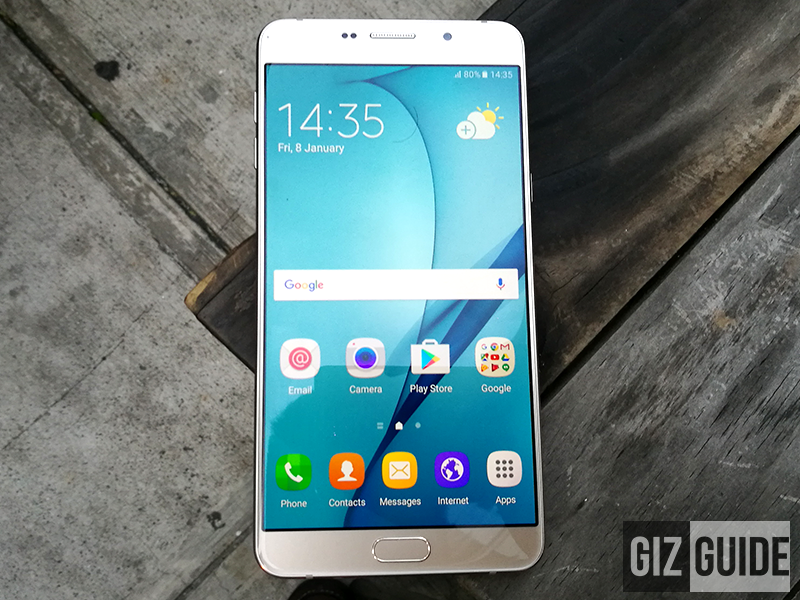 Related: Samsung Galaxy A9 Pro First Impressions - Meet The Big Battery Beast! To refresh our minds, the Samsung Galaxy A9 Pro is equipped with same metal-glass profile of the 2016 A series. It features a large 6 inch full HD Super AMOLED screen w/ 2.5D curved glass, 1.8 GHz 64 Bit Snapdragon 652 octa core processor paired with Adreno 510 GPU and 4 GB RAM that should be great enough to run most of the heavy task. It also has 32 GB of expandable ROM up to 128 GB with the use of a dedicated micro SD card slot. Among all Samsung devices, this device has the largest battery capacity at 5,000 mAh. Given that it only has a full HD with the pretty efficient Snapdragon 652 chip, it is capable of up to 2 days of battery life on a single charge! Then as usual, it has a fingerprint scanner, LTE connectivity, dual SIM card slots, and Android 6.0.1 Marshmallow w/ TouchWiz UI. The Samsung Galaxy A9 Pro will be available starting August 12, 2016 nationwide with an SRP of 25,990 Pesos.